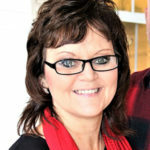 Staff - The Craddock Center, inc.
Debra Cook brings many years of nonprofit management, marketing, development and fundraising experience to the Center. 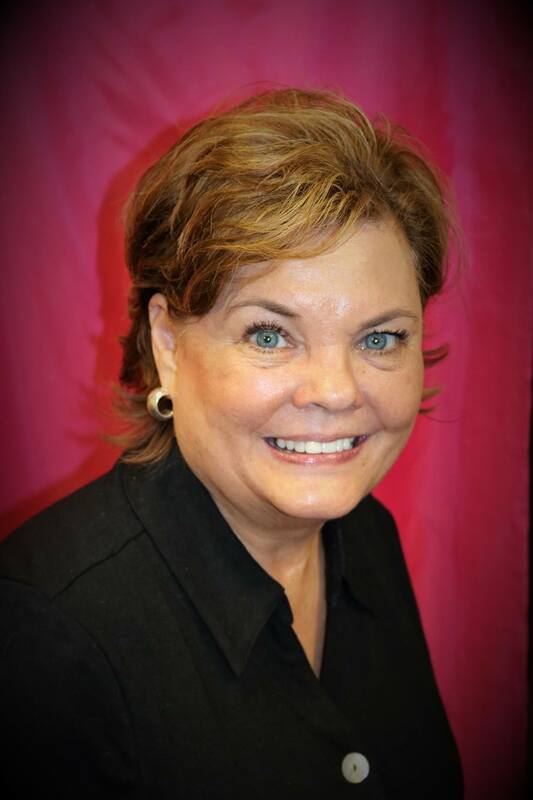 For the past eleven years, Debra has been the Executive Director of the Rome (GA) Symphony Orchestra. 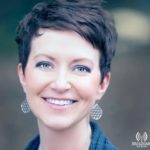 She was formerly Executive Director of United Way in Cartersville (GA), and served as North Georgia Regional Director for the American Diabetes Association and the American Cancer Society. Debra is a member of the Bartow County Chamber of Commerce Leadership, a Rotarian, timist Club member and co-chaired the 1996 Olympic Torch Relay through North Georgia. She enjoys camping, gardening, reading, and antiquing. Connie was raised in Cherokee Co. N.C.. Connie grew up listening to her uncles and grandfather tell stories; Connie herself told stories as well.. mostly scary ones. Connie has traveled over half of the U.S. Connie has 4 children and 4 grandchildren. She interviewed at the Craddock center for music, it was her dream job. 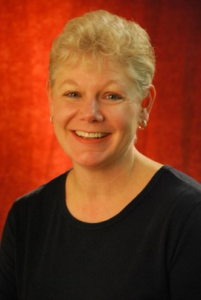 Now, Connie is The Craddock Center’s Program’s Director. The one reason she likes working for The Craddock Center is the children. Not just because Connie can deliver “Happy and Hope” to them each week, but they give her “Happy and Hope”. When Connie walks into a room, they meet her asking for one of their favorite stories; What a Blessing. Amanda Galloway has worked as a Music and Movement specialist for the Children’s Enrichment Program for 16 years, and is working on Storytelling. She is from Morganton, Georgia, is married, and has 2 daughters. Amanda has been playing the piano since she was only 4 and began playing at her church, Concord Baptist, when she was 10 years old. She still plays piano there today, in addition to teaching a children’s Sunday school class. Amanda enjoys sharing her musical gift with children and believes that music should be felt and moved to in a way that brings happiness. It gives her joy to share her love of music with children here in the Appalachian Mountains where she has lived her entire life. Amanda would like to personally thank all the donors and volunteers who have helped her deliver happy and hope to students through the Children’s Enrichment Program for the past 13 years. The Craddock Centers own storyteller extraordinaire has delighted audiences as a professional storyteller across the Southeast for over 20 years. 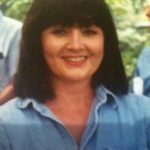 A former park ranger, teacher and librarian, she hails from Eastern Kentucky, a great growing ground for stories. Her interactive style engages listeners of all ages. Natalie has performed at the National Storytelling Conference in Gatlinburg TN, the Jimmy Carter Library and at schools and libraries all over the state of Georgia. In 2016, she was crowned Georgia’s Biggest Fibber and was the People’s Choice Bold Faced Liar at the Festival of Carolina, both of which are actually compliments. She has joined forces with the Craddock Center and is thrilled to spreading joy through stories and music to the children of the mountain region. Sharon grew up in the ‘50s when mothers stayed home and wore aprons. Her mother tucked a little notebook in her apron pocket, and every time Sharon heard a new word, her mother would write it in the notebook. It was a highlight of the day when sentences, stories, and silly rhymes were concocted from the growing list of words. That delight in words never left Sharon. She’s had 700 magazine articles published, wrote a novel, does free-lance editing, had her own syndicated radio for six years, and is often the keynote speaker for conferences. Three years ago, she jumped at the opportunity to tell stories as a CEP with The Craddock Center. Sharon says, “What could be better than a child walking in the story room and gleefully announcing, ‘The Story Lady is here!’ Or a teacher telling me that a little girl, after story time, drew pictures of the story to show her parents. Sharon and her husband, Don, have been married 49 years, have two grown children, and six-years-ago moved to the gorgeous mountains of North Georgia. 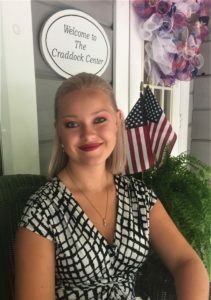 Having a strong passion for children and desire to help her community, Lauren Miller joined The Craddock Center as our new office manager on June 18, 2018. She is a Gilmer High School graduate of 2015, and is currently pursuing her dream of becoming a business major. She brings much expertise, creativity, and personal dedication to the center. Her family is a great support group, and cheers her on as she follows her dreams. Being newly engaged, Lauren’s biggest support is her soon-to-be husband, Josh. When Lauren is not spending time at The Center, she enjoys doing all things involving nature, and spending time with family. Lauren is from Spring City, TN, but considers her hometown Ellijay, GA as she has resided there for 15 years.